Whether rightly or wrongly, it is so easy to label students, to put them into a box, to presume what they can and cannot do. “I taught them in Year 7, so surely they are the same student in Year 9?” The worst thing is that many students feel comfortable in living within this façade. However, it is amazing what can happen when you give students some sort of ownership over their learning. I took the bold step this year of handing back control of learning through the creation of the school yearbook. Although there were some hiccups and hurdles, there was also a fervour in the classroom that I had never experienced before when the the product at hand was wholly and solely that of the students. I had given back the feeling of control before, but never enough that I actually didn’t have any control over the final outcome. I gave feedback, provided possible ideas and solutions, but also allowed space for the students to fail. I learnt that sometimes you need space to fail if you are to succeed. It is not necessarily technology, but more the way that technology is used to redefine the way we work. Whether it be following ideas on Twitter, posting a blog, connecting via a Google Hangout or using Google Drive to share and collaborate. I am always inspired by the way technology allows you to put out an idea and see it come back with a completely different perspective. Associated with this, I have also been inspired by the way that the students or teachers use technology each in their own way and without any urging or encouragement. Not only does this inspire me to reflect on the way I use technology, but also to keep on lobbing fuel into the wildfire of learning. I always thought that being ‘connected’ was something that somebody else did. I always wondered where people got the time. I just didn’t think that it was me. Inspired particularly by my many years attending the ICTEV Conference, I took the plunge and cannot remember my life as a learner before. I think that +Tom Whitby sums up being connected best when he says, “PLNs accept people for their ideas, not their titles.” I am always taken by the thoughts and ideas that supposed complete strangers from around the world have provided me. Whether it be reading posts or listening to podcasts from those at home and abroad, as well as engaging with other learners in regards to various thoughts and ideas from the use of technology to the structure of leadership. 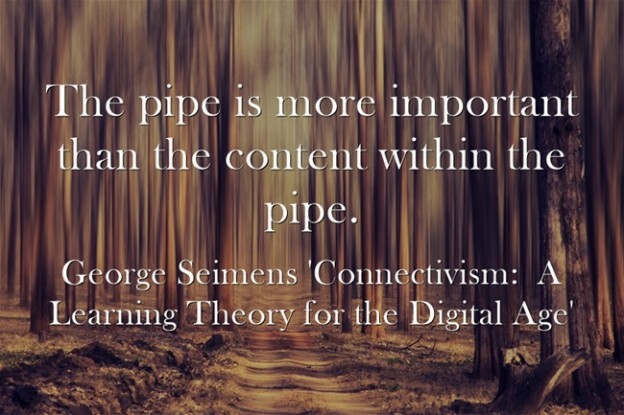 In the end, there is certain irony with being a connected learner, for the world seems both larger and smaller at the same time. There is nothing more amazing than watching your own child grow and change on a daily basis. I am particularly taken by the way she persists. Whether it be trying to climb into the car or using the paint brush, it is exciting to watch her think about a problem and come back to it again and again until she succeeds. It has also been great to see my wife take on new and somewhat difficult challenges with her work. Not only taking on an unfamiliar role, but also making the most of it. Lastly, my mother has inspired me this year the way in which she has done all things possible to overcome adversity, all with such a positive mindset. I am always fascinated at the questions that life throws up on a regular basis. Whether it be driving through the country, working in my garden or solving problems at schools, the world is full of wonderment if only you are open it. For example, I was walking along the beach the other day and stepping between the seaweed and it got me wondering, just as many of the ‘weeds’ we have now were either introduced or inadvertently brought here many years ago, is there any ‘seaweeds’ that were brought here from abroad or is the word ‘weed’ just misleading? I find it most interesting to return to my childhood home with a new eyes, finding things that I had taken for granted, to make uncanny what once was closed and contained in my mind. Although I have touched on this already in regards to being connected and learning with others, what inspires me the most is that there is always a choice. Through mediums such as Twitter and Diigo, my world has been open to a breadth of ideas and practises such as blended learning, genius hour, gamification, project-based learning, maker culture and flipping the classroom. I am not saying that I incorporate all of these things into my teaching, I think of myself more like a bower bird having a nest made up of this and that. Although I may not have a direct influence over every decision that effects me, I do have a choice about the way I respond to them. Being connected at least helps inform that choice on an ongoing basis. So that is me, that is what inspired me this year. What about you? What has inspired you? Was it a particular event? Is it something that somebody did? Was it a piece of art? Was it a place? I would love to know, please share below. Unlike other writers, such as Patrick White’s Voss, Peter Carey’s The True History of the Kelly Gang and the various poems and stories of Barbara Baynton, Joseph Furphy and Henry Lawson, that have tried to capture a particular 18th century life in the Australian bush, Grenville brings a certain dirtiness to the story. We are taken in on every part of the the lives of Thornhills. Although there is clearly a high point in the novel, the story is more about life. As readers, we feel for them, for the lives that they have been sentenced to, for the decisions that they make. I do not think that I have felt so emotional as a reader since reading George Elliot’s Middlemarch. Although clearly a different book altogether, set in a different world, with vastly different characters, both novels take us on a inner journey. I think that they irony of Thornhill’s journey is that in investing so much thought and emotion into the characters and the lives we are lead back to our own lives – both personally and culturally. We are faced with the question, what would you have done? Could life have been any different? In the end, I think that the purpose of the novel is to remind us that there is always a ‘secret river’ hidden beneath the surface, the uncanny past waiting to unsettle us. As Grenville writes in the novel about Thornhill and his new abode, “His children’s children would would walk around on the floorboards and never know what was beneath their feet.” Although the past is the past, the worst thing that we can do is to forget about it. Do moments like this further the wider conversation in anyway? What is the role of the connected tribe in regards to continuing this wider conversation? What does it take to move an idea from a point of change to evolution? At the heart of all our connections, whether online or not, is our PLN. There are many different definitions for PLN’s including: personal learning network, professional learning network or personalised learning network. Kate Klingensmith summarises the term ‘PLN’ by suggesting that it is basically “the entire collection of people with whom you engage and exchange information, usually online.” This collection includes both friends, family, colleagues, professionals, both in and out of work, really anyone who has something to add. +Tom Whitby points out importantly that “PLN’s accept people for their ideas, not the titles”. The idea is closely associated with the connectivist learning theory, where the focus of learning is not necessarily what you know, instead it is about what networks you are a part of and what possible solutions you are able to gain from these different perspectives. Whether we realise or recognise it, we are all already a part of a personal learning network just waiting to be activated. What I find confusing is that often when people talk about PLN’s they use phrases like ‘develop a’, ‘build your’ or ‘create your own’. Whitby himself talks about an ‘acceptance’ as if their is some sort of membership or control. However, I personally think that this confuses things. I would argue that PLN’s often form themselves organically. PLN’s are rhizomic. There is no central root system. There is only one connection leading to another. Whitby best sums it up by calling it a ‘mindset’, a way of being. The question then is how this is different to a tribe and how can each be used to evolve the discussion in regards to educational reform? Heretics look at the status quo and say, “This will not stand. I can’t abide this status quo. I am willing to stand up and be counted and move things forward. I see what the status quo is; I don’t like it.” That instead of looking at all the little rules and following each one of them, that instead of being what I call a sheepwalker — somebody who’s half asleep, following instructions,keeping their head down, fitting in — every once in a while someone stands up and says, “Not me.” Someone stands up and says, “This one is important. We need to organize around it.” And not everyone will. But you don’t need everyone. You just need a few who will look at the rules, realize they make no sense, and realize how much they want to be connected. Although coming from a marketing background, Godin’s notion of tribes reaches out to a range of callings, across all society. My question though is whether it is enough to start a tribe to bring about the change that is required moving into the 21st century? Although tribes are a powerful mechanism for change, the big question is whether they actually evolve the discussion in the wider community? Fine the tribe plants the seed, spreads the word, the big question though is how we get the conversation to evolve outside of the bubble of the echo-chamber. Beyond the notion, that is ‘them’, not ‘us’. The problem, I feel, with Godin’s call to the tribe is that although it works to ignore certain groups when it comes to art, music and marketing, the same cannot be said about education. Is it enough to lead a particular group towards change in education and simply leave a certain sector behind? People in my PLN challenge my thinking and push me to see perspectives that I would not see on my own. A good PLN will pull in learning from places I don’t normally go, and this means that even when good ideas bounce around, perspectives on those ideas don’t stay static… they don’t echo, and they morph into new insights. The biggest difference I can see between a PLN and a tribe is that a PLN by its nature is open, it connects with a wide breadth of ideas, both agreeable and disagreeable, ideas that continue to challenge and break our moulds, ideas that keep the conversations going. The bigger question that we need to consider is whether we are willing to recognise some of these other voices. Sometimes in the desperate clamour for change it is easier to squash these voices, deny them, smother them, but is this really productive? In a recent post, +Tom Whitby suggests that, “In the garden of ideas we must weed out the bad and fertilize the good, but we can never ignore the ideas that are popping up at a rate never before imagined.” I was really taken by this statement as it sums up what we do naturally, the sorting between the ‘good’ and ‘bad’, useful and useless. Clicking on one link, ignoring another. The problem with this though is with the amount of ideas out there, sometimes the important thing is the actual interactions, the dialogue, the constant point reflection, why rather than what we deem as ‘good’ and ‘bad’. From this point of view, it is therefore so important to engage with everyone. In his keynote for ICTEV13 Conference, +Dan Donahoo spoke about the importance of recognising the place of everyone in the village when integrating new technology and ideas. Whether it be the blocker who provides an insight to the hurdles or the outlier who is always looking for new and innovative ideas or the learner (student and teacher) at the heart of the change. The reality is everyone has something to contribute. The difficulty is authentically incorporating all the different voices. The problem is that we often enter discussions with an outcome in mind. However, something would be wrong if there were no modifications to this desired outcome, because we all take things up in our own way and this needs to be recognised. The process, +Dan Donahoo suggests, is far more important that actual outcome. The lesson learnt from +Dan Donahoo‘s presentation is that it takes more than one teacher with a good idea to bring about change. It takes a whole community to bring about change. It may be the job of the tribe to identify the need for change and start the fire, but it is the job of the wider learning network to evolve the conversation, bring about this change in their own way. Addressing this problem in his own way, +Peter Skillen suggests that rather than overload teachers with initiatives, those in administration need to help teachers to understand the ‘essence’ residing in all the different practises that we often associate with 21st century learning and out of the distilled essence, teachers can then ‘construct their own knowledge and practice’. In the end, our challenge is how to help each other make the most appropriate decisions for each of our own situations. What then is needed to bring about an evolution in education? To me, to go beyond mere change, to actually bring about about evolution, will only happen when everyone is activated and connected to the conversation. This includes parents, students, politicians, businesses, anyone really, because we all have a vested interest in education. The big problem seems to be how to engage everyone in the conversation. With the rise of social media and use of technology as a way of communicating and disseminating information, it offers a great medium. However, not everyone is online and maybe they don’t have to be, but if not, how then do we carry the conversation to them and make sure that they also have an empowered voice within the whole conversation? This is an ongoing challenge how to best keep the conversation going. It is so often easier to squash those ideas that are other to our own, but does that carry the wider conversation or simply fuel the tribe? Coming back to the original saga, Johanna O’Farrell is right when she says that money and technology will not fix education. They may help, but they certainly are not the ‘silver bullet’ as she states. The real change agent in regards to education are people. People trying to find solutions to today’s problems to build a brighter tomorrow. Personally, I think that it is too simplistic to say that something worked in the past, therefore it will continue to work today. This denies that the world changes in so many ways, whether it be culturally or technologically. However, what O’Farrell’s article does do is get people talking about education and in some way that is a good thing. The challenge is to talk about such issues and ideas in a way that involves everyone in the conversation, incorporating a wide range of perspectives, maybe that is the truly 21st century problem? Johanna O’Farrell started it. She wrote an article for The Age titled ‘Splashing Cash won’t Fix Australia’s Broken Education System‘. The piece was basically a tirade against 21st century learning from the point of view of a secondary teacher. There have already been a few responses written including +Mel Cashen‘s ‘Why our schools are NOT failing your children‘ and +Celia Coffa‘s ‘Why Our Schools Are Not Failing Your Children – Another Teacher Tells‘. Both of which shared their passion about why schools are not failing. Leaving the hyperbole and exclusive language aside, I would like to add my own response by unpacking a few of O’Farrell’s arguments a bit further. Instead, the strategy is that children will simply learn to read and write ”by osmosis”. This is all well and good for children from families where reading is habitual. However, those from households where television and video games constitute the main part of a child’s ”diet” fall by the wayside. I have two questions for this, firstly why ‘books’ and secondly, is ‘reading’ the real issue? In regards to the first question, I was reminded of a post written by +Kynan Robinson ‘Digital Literacy, Gaming and Contemporary Narrative Writing‘ in which he spoke about the rise of digital media and what it offers. One of the key points is that it is a considerable shift from the way we considered literacy in yesteryear. In addition to this, some of the dominant forms of writing and consumption, such as novels and film, are now dead as a medium. They no longer have the same power to engage and persuade, basically because they are linear in nature. When I think about the novel, I am taken back to the Victorian era and the rise of the locomotive, where people would read Charles Dickens in serial form, similar to the way we watch shows like Breaking Bad, where people by subscriptions for instalments. Sadly what O’Farrell is unwilling to recognise is that everything has its time and that maybe there are more texts out there than just books. Associated with what texts are chosen is the actual act of ‘reading’. As I have stated in the past, reading is only one part of the equation, the bigger concern from my point of view is students actually responding. The problem is that students are often forced to respond, whether it be creatively or in the form of an essay. 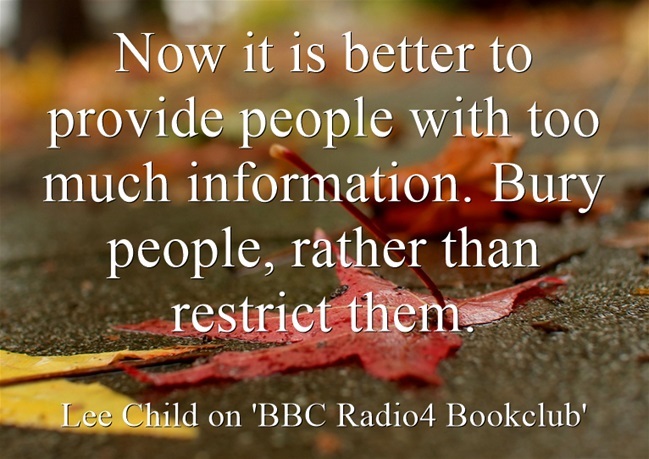 They are denied the ‘rights of the reader’ as Daniel Pennac would put it. I think what stands out most about Pennac’s list is his one warning, “don’t make fun of people who don’t read or else they never will.” So often the students who succeed in exam environments and with writing essays are those that actually care, rather than those with ability. The bigger challenge for students is to get them to engage with texts and write what they feel needs to be written, not simply what someone else has told them to write. For that we can only guide and nurture them, encourage and support, not just force and coerce. What I see is that the vast majority of students simply do not have the intellectual skills to meet the demands of the secondary school curriculum. So, understandably, they disengage. I was a little confused by the appeal to ‘intellectual skills’. I sometimes get concerned that the secondary sector itself is letting students down by not following on from the example set by primary school. In a previous post I spoke about education being like a river. Students all find their own way to the river and then meander through primary school. However, when they get to secondary school, the delta of all learning, they take many different and divergent paths. What this often leads to is a fear amongst some educators that students may miss out on a particular piece of knowledge or a certain skill, such as our origins in Medieval Europe or what BOLTSS stands for. That is how I used to think until an aide, with no bachelor or post-graduate diploma, just the instincts of a mother, who was working with me, pointed out that what students often remember is incidental and usually more about relationships than the content. The greatest fear is that we have the danger of killing creativity, as Sir Ken Robinson put it in his 2006 Ted Talk ‘How Schools Kill Creativity‘. He argued that often we only accept a certain type of student and subsequently deny many students the opportunity to blossom and shine. He gave the example of Gillian Lynne, a famous dancer, who was having problems in school, until someone uncovered her passion. ICT in recent years has been treated as education’s ”silver bullet”. But I believe ICT is in fact little more than a gimmick – and I know that the novelty of it as a tool for engagement is fast wearing off. I was particularly saddened to see ICT been spoken about as a merely being a tool for engagement. When you think about the SAMR model, using technology in this way is nothing other than a substitution for what is already been done. It denies the opportunity to utilise technology to redefine the way students are taught. More significantly, it denies the fact that ICT has “shaped behaviours, cultures, classrooms, schools and contexts” as +Peter Skillen has suggested. Although personally we may not agree with all of these changes, it is not good enough to put your head in the ground and deny it. We need only to think of many of Australia’s best and brightest, or indeed the great poets, artists, scientists and orators of the 20th century, to realise that a blackboard and chalk, a pen and paper, a few good books and some learned teachers sufficed. Indeed, in the case of my own parents – both baby boomers and both competent users of English and proficient mathematicians – the absence of open-plan learning, iPads and interactive whiteboards in their classrooms does not seem to have been too detrimental. I always thought that the purpose of history was to add perspective to the present and recognise how and why things changed. I am not sure how much perspective O’Farrell is demonstrating. 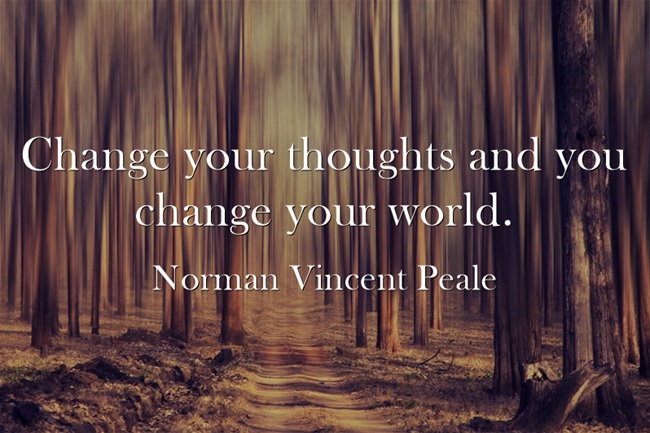 Just as the world changes, so do we. Many of the jobs that the baby boomers did no longer suffice. +Celia Coffa sums it up best when she says, “education reflected the society that I lived in. Do we really want our students to be educated in a system that reflects a society of 10 – 20 – 30 – 40 years ago?” In addition to this, I believe that many of Australia’s best and brightest often succeed in spit of their education. Whenever I think about Australia’s artists and authors I am reminded of a culture of exploration and experimentation. Fine they had to learn their trade somewhere, but it is often within communes like the Heidelberg School, rather than at an actual formal schools. It just seems far to simplistic to equate artistic expression and scientific innovation with rote learning. What Feedback and For Who? Student teachers in primary schools have been told they can’t correct a child’s spelling, but instead must identify and congratulate the student on all the letters they got right. I understand that intuitively it seems wrong to not be able to correct a spelling test, isn’t the sole purpose of it, to tell a student whether they are right or wrong. However, when you take a step back and consider such rote situations as spelling tests and times table races, two questions come to mind: what is the purpose of the actual task and how does the feedback support students with their learning. So often students hammer through test after test, based on words, knowledge and ideas that are chosen for them, not by them. Simply telling them what they got right or wrong gives us an indication as to where they may be at, but it does not really help them improve in regards to their spelling. If you look at John Hattie’s infamous effect size list, it is interesting that above feedback is self-report grades. Students self-managing their own learning, setting goals, reviewing them, supporting each other, surely this is the ideal, rather than teacher dictated learning, where students are told they are either right or wrong, where the feedback is restricted to the task at hand, where results are given months later, with little to take away for future learning. From a constructivist point of view, our focus should be on how we solve problems and develop solutions by connecting and collaborating with others, instead of being a font of all knowledge. I have not even mentioned the enormous challenges relating to discipline and poor student behaviour. What is frustrating is that she has not spoken at all about the importance of relationships. I am of the belief that if you provide an engaging and purposeful curriculum and show some interest in the lives and interests of the students, then poor behaviour and discipline issues will sort themselves out. However, if you enter the classroom with discipline on your mind, rather than relationships, should there be any surprise if students show poor behaviour? However, what concerned me most about Johanna O’Farrell’s piece is that it kills the conversation. Although it was highly emotive piece, it was almost too emotive. While there is little evidence or statistics used to support I am really confused about what Johanna wished to achieve by writing her piece. Are teachers like Johanna O’Farrell in fact failing themselves and their colleagues? If things are to evolve, it will only be through dialogue and I just don’t know how open Johanna is to continuing the conversation. For now, the bear has been baited and the tribe has united. I had never really questioned the act of giving like this before. It really got my thinking, is it right or wrong to give gifts at the end of the year? Why do we do it? Is it simply because it is something that has always been done or is there something deeper? Is all giving the same? Let me digress for a minutes. There are some people that you don’t want to be at the end of the year in a school, such as daily organiser, report coordinator and timetabler. Sadly I am all these. Most days are frenetic, going from one job to the next. Let alone responding to various problems that may arise. Therefore, it was a nice surprise when I walked back into my office the other day after running around the school following up with various issues with reports to find that my Kris Kringle (+Catherine Gatt) had put up a poster to liven up my day. In a job without much thanks, this was the spark that was needed to reinjuvinate me, to add a little spring in my step. A bit of background to the whole affair, how Kris Kringle works at my school is that staff are told who they have in late November, so for the last few weeks of the school term, when staff and students are getting a bit tense and tired, there are little tricks and treats to get staff through to the end of the school year when the actual Kris Kringle presents are given. During these weeks, staff are on the receiving end of anything from vouchers for free coffees to having everything on your pin-board turned upside-down. It all really depends on who you are and who you have. 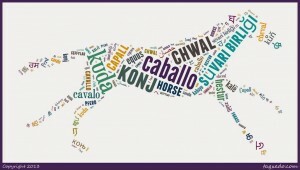 For me this year, I had a fellow teacher who loves horses, such I did things like make a word cloud with ways to say horse in a range of different languages, as well as print out some My Little Pony colouring sheets and attach them to some chocolates. My hope was to find something creative and unique that would make my KK laugh and bring a smile to their day, that would say to them, “my KK really knows me”. Many of the issues that Daniels associates with giving are related to doing it for the wrong reasons and simply following on from other people’s traditions. What things like Kris Kringle allow us to celebrate is a joy of the small things that often have no place in the hustle bustle of day to day life. Whether it be a short note, a joke, a chocolate or two – it is about the act of giving that makes you feel that you are more than just another number, another teacher code, you are important. At its heart, it is about fostering positive relationships and developing a sense of community amongst staff. The biggest challenge is how do we foster these things throughout the year not just during the festive times? So if our intentions for giving fall outside of the personal, beyond a sense of community and relationships, simply because of power and authority, then maybe the act of giving needs to be questioned. What are some of the ways that you give to shown that you care and to help people feel that they belong? In a post I wrote a few months ago I spoke about what I called the ‘hidden professional development‘. That informal learning that occurs unplanned and on the fly, whether it be at lunchtime, while photocopying or even when swapping over on yard duty. Basically anywhere, anytime, simply where two or more passionate learners meet. The big question then and the question now is how do we encourage this? What structured opportunities do we provide for this? In a fantastic discussion as a part of +Ed Tech Crew Episode 240 focusing on what it takes to be an IT co-ordinator, +Ashley Proud spoke about the demise in tinkering amongst students. Although +Mel Cashen and +Roland Gesthuizen mentioned about taking things a part, giving the conversation a more mechanical theme, I feel that tinkering is best understood as a wider curiosity into the way things work. I believe that one of the reasons for such a drop-off belongs with teachers. Although this criticism does not belong with all teachers, I think that there is a status quo out there who ask one thing from their students and model a different thing in their own day to day practise. Although teachers themselves have a large part to play in this, I also feel that one of the deeper issues lies with what opportunities teachers are provided with to actually be curious and creative, and I don’t simply mean curriculum planning. For example, the other day, I was asked to cover a yard duty for a colleague as her and her team wanted to get together at lunchtime to create a collaborative birthday video. I asked what they were going to use to film it and whether they wanted to borrow my iPad. The eventual product was not great, but it was a development on past productions. Most importantly though, it was a skill to take back into the classroom and share with students. What this whole scenario got me thinking was that, more than just opportunity, we do not provide enough encouragement for such activities. One initiative that has taken off in schools during the last year or so has been the idea of ‘Genius Hour’. Known by many names, such as 20 Percent Time or Passion Projects, Genius Hour is basically where students are given a license to develop a personal project of their choice. For a further explanation, I recommend +Anthony Speranza‘s post, ‘My Experience in Getting Started with Genius Hour‘. The background is that it comes from Google, where workers are (or were) provided one day a week to work on Google-related projects of their own choice. I think what needs to be understood is that, as +Ryan Tate suggested in his post for Wired, 20 Percent Time is not “a fully fleshed corporate program with its own written policy, detailed guidelines, and manager.” This is significant as what Tate is saying is that Genius Hour is not about a set of actual practises, as different companies have different notions of it, rather it is about the ethos behind it. This is why it has transferred so well into schools, with teachers creating their own twists on the whole affair, but still continuing to capture on essence of passion and innovation. However, one area that has been left untapped, as far as I can tell, has been the idea of teachers conducting their own ‘Genius Hour’, that is, teachers finding a passion of their own and running with it. Professional Development needs to be more than an occasional workshop that can then be checked off of an Administrator’s list of things that need to be done for the year. PD must be prioritized and supported on an ongoing basis. It must be part of the workweek. In addition to providing access to new ideas, technology, and methodology, time must be afforded for educators to collaborate on what they have learned. Educators need time and support to put into practice what they need to learn. What stands out to me in Whitby’s description is the focus of what teachers ‘need to learn’. I think that many teachers do not really know what they ‘need’. However, a starting point for this is to support teachers with what they want to learn and then go from there. Too often the more ‘personal’ professional development is left for teacher’s own time. I have two problems in particular with this. Firstly, in leaving learning to chance means that some teachers never actually do it. Like the hidden professional development, personal learning is one of the first things to get crossed off the list when times get tough. Secondly, staff are not being properly supported in their forays into the great unknown. As Tom Whitby suggests: “Learning about technology and how to incorporate it into learning specific to one’s class may be a bridge too far for many educators.” We all talk about ‘getting connected’ as a way of overcoming this problem. However, that too involves technology. Instead, one possible way to bridge this gap is to provide teachers with a specific time and space during school in which they are able to explore their own interests, knowing that they have support all around them. One of the greatest fears in opening up professional development to the whims of the staff is that to some this time either gets wasted or is underutilised. My school tried to introduce personal learning a few years ago where there were some random sessions offered, as well as the option for staff to choose their own professional development. Most people ended up passing on the offer of finding their own learning and stuck to one of the sessions on offer. This is not to say that the sessions on offer weren’t powerful or important, but I feel that one of the key reasons why staff did not take up the opportunity of finding their own professional learning was that there was a lot of confusion about what was required. Was it completely open or were there some things that were prohibited? Did you have to write a reflection? What the situation needed was a little bit of structure, a little bit of guidance about what was and was not acceptable. The problem is that there is often a lot of conjecture about what does and does not constitute professional development. I would argue that ALL learning can be deemed as professional. For just as +Alec Couros suggested in an interview with the +Ed Tech Crew that, “some of the best learning happens each day on Youtube whether it is meant to happen or not”. The big question is whether we actually recognise it. One way of doing so is to encourage it by making the often informal ad hoc learning more formal by adding a certain sense of structure and uniformity. Providing teachers with the opportunity to identify an a passion, something that they may be interested in but ignored due to time and effort. Although this may not be an ‘hour’ each week, maybe every fortnight, it is a regular time to work either individually or collaboratively. A time to identify and touch base with other experts. A time when teachers know that they are both free and supported to take ownership over their own learning. Clearly with such ‘freedom’ also comes a certain sense of constraint. This learning needs to be explicit and needs a purpose, a question to drive the project. With this needs to come some goals, both short and long term, about what is trying to be achieved. Attached to these goals is an element of on-going reflection and accountability for what Bianca Hewes calls the ‘mushy middle‘. At the end, there needs to be an opportunity for sharing and celebration about what was achieved and what has been learnt. This could be sharing to your team, participating in a smorgasbord, as a part of a performance and development meeting, writing a blog post. It does not really matter what means it is, what is most important is that it happens. Often the greatest joys come when space is provided for learning to happen naturally. A colleague, who is not always big on introducing technology into the classroom, told me about a situation where he gave his students a group task and they automatically created a Google Doc and shared it between themselves. I love this story as it highlights that not all learning is direct. We may introduce a skill with a limited response. However, staff and students may see some other benefit and use it in another situation. I have seen this happen with programs like Padlet and Edmodo, where given some amount of freedom, people have found their own purposes and contexts. To me, learning in this situation is like wildfire. Given the right conditions, a fire that takes hold, is disruptive and very much uncontrollable in itself. As +George Siemens suggests while talking about connectivism as an answer for the digital age, “learning is a process that occurs within nebulous environments of shifting core elements – not entirely under the control of the individual.” The role leaders and co-ordinators in this situation is to manage things, conducting back burning and creating fire breaks to contain learning rather than control it. 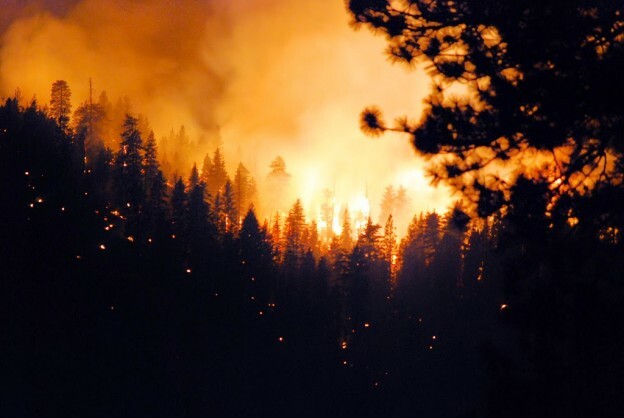 The question to consider then is whether you are creating an environment where learning can take flight – dry kindling, tall trees – or are you creating an environment where, with a lot of damp branches, there is a lot of smoke, but little fire? In an insightful post debunking the naïve myth that “it’s not about the tool”, +Peter Skillen makes two key points. First, that computers are a form of media through which we can think about problems in a deeper way, and secondly, tools and technology shape our society in both intended and unintended ways. Often one of the arguments made about 21st century learning is that many of the attributes are possible without the use of technology. Surely you don’t need a computer to help you think? Although this may be true, I would argue that they are significantly amplified with the use of technology. Use iMovie to produce a trailer for a book, rather one makes a creative representation of a book involving a range of choices. Develop a Google Slide to provide information on a topic, rather one shares a presentation with others and opens it up for critical responses. Program using a Lego Mindstorm robot, rather one uses it to solve a problem based on the options and variables available. Record a game of soccer, rather one uses it to reflect on choice of actions and game sense. Write a response to a question on Edmodo, rather one uses it to reflect on what has been learnt through the act of learning. Compose a blog revolving around their reading, rather one uses it to engage others in conversation in order to gather different ideas and perspectives. Add to a brainstorm using Answergarden, rather one uses it to develop a collaborative idea about what a group may think about a question. Although each of these tasks are engaging and important in themselves, they lack potency if they are not linked to a deeper intention. In the end, it comes back to a question of choice. Although a student could reflect on their lesson in PE and the various choices made, recording themselves and reflecting on it afterwards not only provides a wider perspective for the person in question not possible if it is left to just them, rather it allows for a deeper sense of self-reflection, often leading to answers in a shorter amount of time. For there are many ways of travelling from point A to point B. Clearly, one could walk, but if one rode, they would get to their destination quicker, while if they drove they would get their even quicker again. Although technology and tools are not essential to learning in the 21st century, they are definitely a big part of it. I think that once we understand that there is a more effective way from getting from point A to point B, it allows us to get to start dealing with the deeper question, why are we trying to reach point B anyway, but I’ll leave that for another day. There is an inability for leaders and administrators to practise the same things that they preach and also become learners. Too many educators are living on a diet of abstracts, one-line wisdoms from Twitter and drive-by professional development. We need education for our students and ALSO for our teachers – not subjugation. Rather than overload teachers with initiatives, administration needs to help teachers to understand the ‘essence’ residing in all these practices and out of the distilled essence, teachers could then ‘construct their own knowledge and practice’. If we want the culture and context of the classroom to change, we need to embrace technology and how it might bring about this change. we need to educate the public about the changes that are needed. Peter’s post definitely left me with more questions than answers, such as: Can you really have administrators as ‘learners’ and still expect them to continue with their same roles as they are now? How do you convince students and teachers to embrace their own education, rather than accept a life of subjugation? What happens if different teachers working in the same team develop a different ‘essence’ associated with learning and teaching? 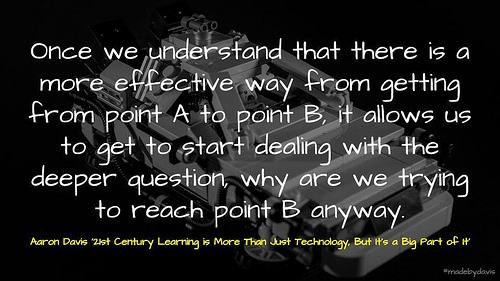 Isn’t technology one part of 21st century learning, not the whole part? How do you go about educating the public in regards to the evolution in education when there are so many stakeholders out there providing mixed messages about what this means? However, the biggest question of all was whether the modern phenomena of perpetuating ‘one-liners’ was actually detrimental to any sort of productive change? One of the biggest instigators in this one-line revolution is Twitter. Restricted to 140 characters per post, it seemingly forces users to clamour to the highest point of land and jump up and down to be noticed. Posts therefore often lend themselves to absurd statements, such as “5 Things Preventing You From Becoming a Billionaire” and “The Secret Video Obama Doesn’t Want You to See”. But the question is, does it have to be this way? Having really taken to Twitter as a place to share and connect with others, I feel a little guilty as charged, as I often reduce arguments down to one-line. When I started tweeting, I initially went in thinking about how students could use such a medium to record regular reflections with their reading. I therefore made an effort to share those pertinent quotes that stood out from the texts, the main ideas if you’d like. This would always be followed by either a title or a URL where applicable. As I progressed, I started to struggle with the challenge of fitting the message into the restrictions of a 140 characters and turned to such programs as Quozio to quickly and easily capture and share longer passages. For me, this was more important than simply sharing a link or re-tweeting a previous post. My attempt was to give a meaning to the message, to provide a taste of the text, rather than just some catchy title. However, does this really guarantee to provide the reader with an entry point or simply provide a short and quick summation, providing the feeling that the idea or argument is now known and understood. I think that in some respect this whole argument is really about digital identity and how we each present ourselves online. I was once told by a fellow teacher in an annual review meeting that every day is a living job interview, you shouldn’t wait until you are sitting in front of a panel. Often the decision is made before you even speak, whether it be the examples that you haven’t got to present or the positive references that you haven’t got. This content – tweets, posts, images – is a way of constructing your own brand, posting aspects that we associate with, marketing ourselves. This needs to be differentiated from the self-aggrandizement, where we spruik ourselves in the climb up the ladder. Instead this ‘marketing’ is a more rhizomic in nature. Although we may eventually ‘move up the ladder’, this is often a by-product, instead the real strength of our sell is in the connections that we are able to develop. For in the modern world, it is not necessarily what you know, but the network of people you know that can help you get to a better answer. (For a great discussion of such matters, read +George Siemens introduction to connectivism.) The question this becomes about how we actually form these networks. Standing out requires adding something new to the mix, bringing users a piece of information they could not have gotten elsewhere. If it looks written by a machine, for a machine, it won’t resonate with human readers. It’s important to produce content that will uphold and retain value for your target audience. It’s key to understand the landscape and which solutions fit best with a brand’s current and future content needs. The portrait of “success” looks different for each case. It takes time and effort to create an engaged audience. I think that these suggestions carry across to the development of our own digital identity. One of the prime ‘solutions’ for this situations is Twitter. It provides a medium through which you can publish regular and authentic posts. The problem though is it is easy to read like a robot, rather than like a human. However, this is often easier said than done. With so many programs and applications that easily post information to various social network platforms on our behalf, it can be be challenge. Another perspective on this whole debate is thinking of a tweet as being more like an aphorism. The Oxford Dictionary defines an aphorism as ‘a pithy observation which contains a general truth’. Although it may touch upon a truth, often the success of an aphorism is not necessarily the truth or ‘wisdom’ it provides, but rather the point of contemplation to which it often leaves the readers. 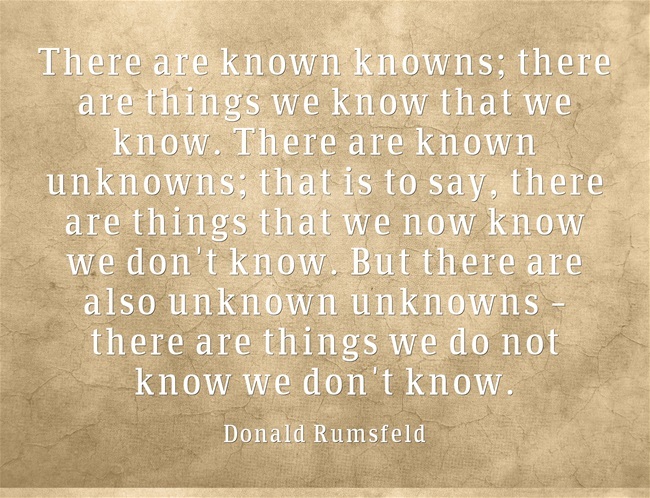 Whether it be Lao Tzu or Donald Rumsfeld, an aphorism often leads to more questions than answers. I admit then that not all tweet are deep in nature, but does that mean that the medium is subsequently flawed? I can change the way I work and attempt to influence the way other people do things, but in the end it still all comes down to choice. A choice of whether to write like a human or like a robot. A choice of whether to publish authentic ideas or simply run for the absurd. Although there may not be some gold nugget hidden within each tweet, waiting to be unearthed, I think that there is much to be gain in getting learners to think differently. I admit that Twitter as a medium does open itself up to a false sense of contentment, but this is often a fault of the the reader to think that this is dialogue stops there. For one of the tenets that seems to get bandied around in regards to 21st century skills as the notion of critical thinking. If I naively think that all you need for a Teachmeet is to “pick a date, pick a pub/library/space that is free and go ahead” as +Matt Esterman put it to me, then I would be the fool. For even though it is a free and open form of professional development, at the very least, it still requires some organisation and PR to get people there. However, Matt’s statement does plant a seed, it does at least provide the basic principles of what is required to organise a Teachment and that is important. So to answer the question, can you really find wisdom in one-line? The answer is probably no, but you can definitely find hope. Hope for a different world, hope for a different way of doing things, hope for a more critical viewer. 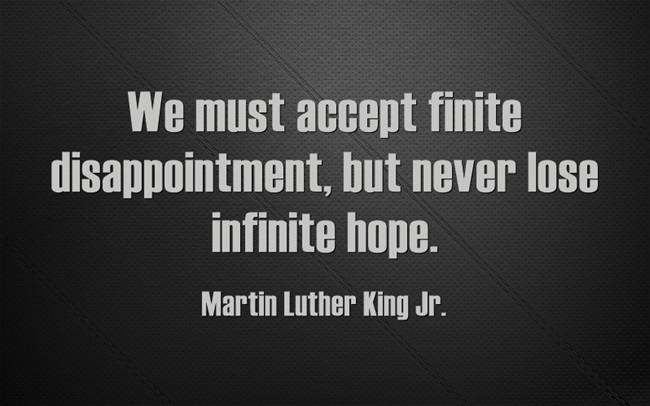 And sometimes that hope is all that we have.